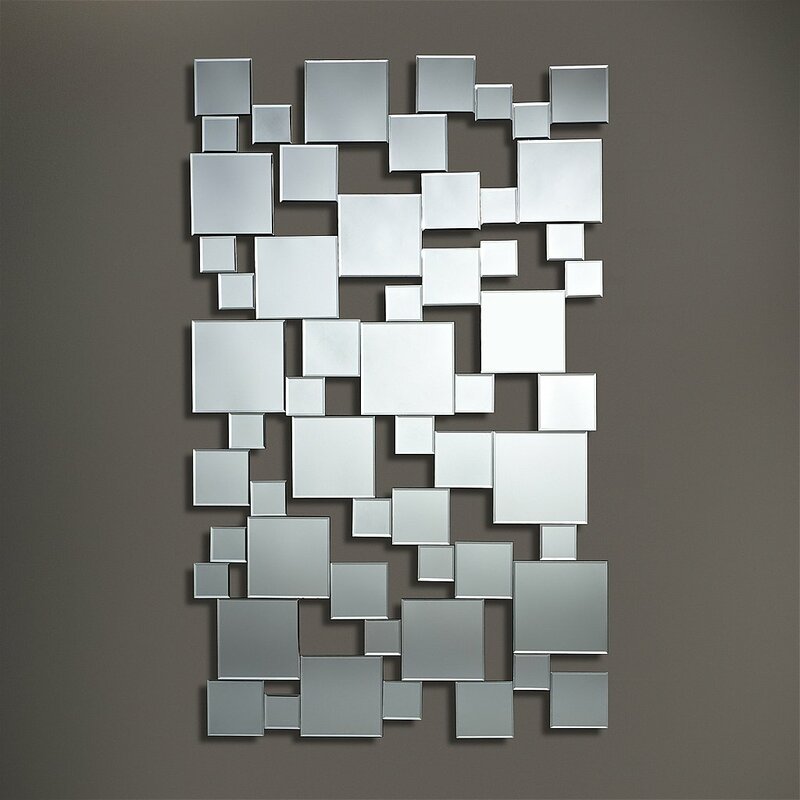 This mirror is one large rectangular mirror composition of 57 little square bevelled mirrors! 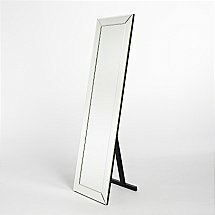 All mirrors are glued on a black MDF-support. 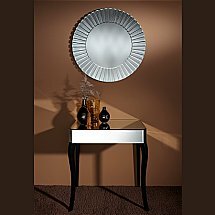 The space between the mirrors is void, so you can see the back wall through it. The mirror glass is 3 mm thick. 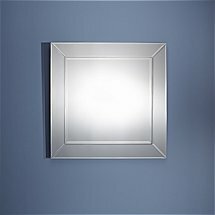 The mirror is provided with 4 suspensions, so that it can be hung horizontally as well as vertically. 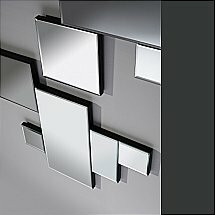 I would like more information about Pixels Mirror by Deknudt Mirrors.